Florida state beverage is Orange Juice. Many people think of Florida whenever the words “orange juice” are read, written, or spoken. During the Second World War, scientists invented a process for making concentrated orange juice. Soon, a frozen concentrate was developed that transformed orange juice production into a multi-billion-dollar industry. 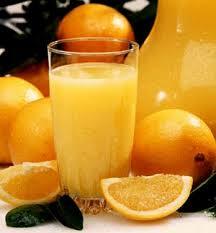 In 1967 the Florida legislature designated orange juice as the official state beverage. In 1987, consumer demand for premium juices that are not made from reconstituted concentrate increased, leading to the creation of the Florida’s Natural brand (which would later become the name of the cooperative itself), which consists only of freshly squeezed, pasteurized juice, which contains no additional ingredients. Nothing beats a glass of fresh squeezed orange juice.